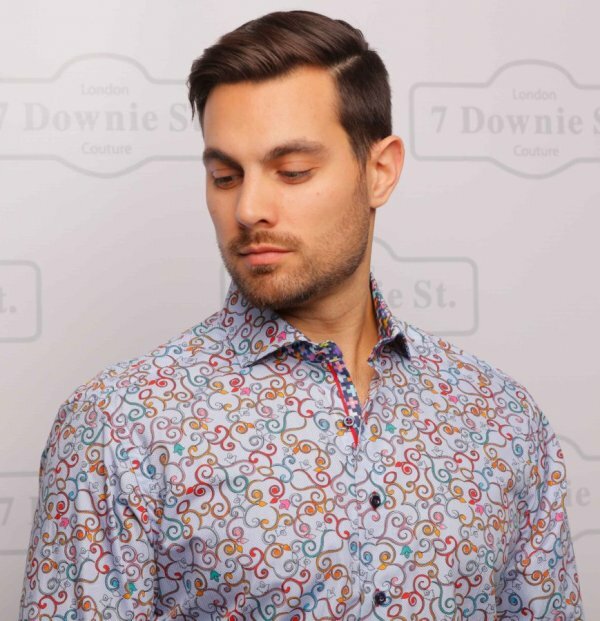 Scroll print long sleeve shirt, light blue with multi colorful scroll print. Great for jeans. Fitted shirt. Spread collar, button cuffs.